In my experience as a system designer, I’ve learned that there’s no barometer of success that I’m more commonly measured against than my client’s internet speed. In my systems, critical network devices are wired, but the most critical device is always the one that’s currently in the hands of the end user. This device is almost always wireless, and if it’s not achieving the top end of the ISP’s speed then my installation is measured as a failure. So the question is, how do you deliver wifi that offers consistent signal and speed regardless of the desired area of coverage? There is no universal solution, but if we break down applications into three categories then we can extrapolate a solution to fit any particular situation. 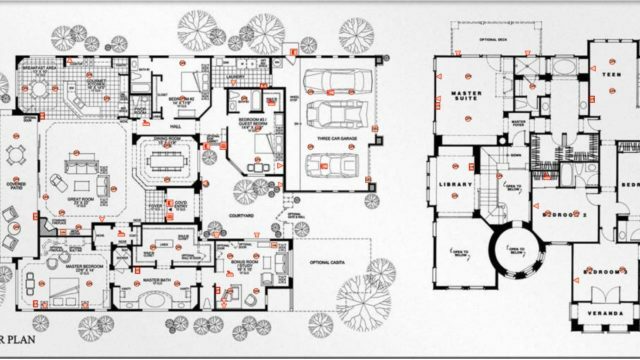 Please note that any mention of square footage is to provide a conceptual idea of space. 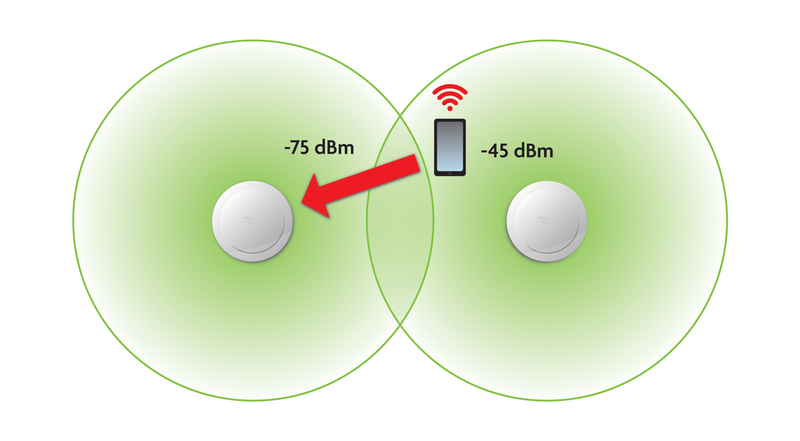 Actual wireless range depends on distance, construction materials, and wireless noise. Homes Requiring a Single Access PointMost homes less than 2500 square feet (excluding ranches) are able to be covered by a single access point. I almost never recommend using the cable company’s standard equipment, but in this situation it is the easiest and most cost efficient solution. 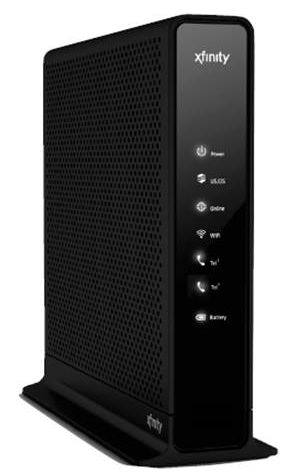 If you have a combination modem/router/wireless access point provided by your cable company (pictured), it is likely sufficient and will perform just as well as any aftermarket product. The exception to this relates to network complexity, which is a different discussion. Whether it was a self-install kit or the cable company had a technician perform the installation, these wireless devices are usually placed in the most convenient location for installation with little consideration taken into optimizing wifi performance. These devices can often be moved to a central location of the home and they will begin to provide adequate coverage. The cable company modem/access point typically connects using a single coaxial cable (cable jack, or TV wire). If you have an unused wall plate with a typical TV connection then it’s worth a try to connect this device to the wall in a central location and see that when it boots up the “US/DS” and “Online” indicators become solid. 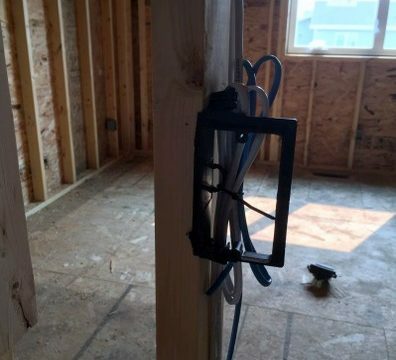 If you have an unused jack but it doesn’t seem to work, you can usually have the cable toned, traced, and connected to the cable tap for less than 2 hours of labor by a local low voltage (audio/video) contractor. For less than $200, your wifi woes may be forever fixed. Homes Requiring 2-3 Access PointsHome ranging from 2500-5000 square feet will require more than one access point. This category does not serve applications that require 4 or more access points, as the complexity of device management may be too complex. The temptation here is to attempt to use a “high powered” access point, a range extender, or simply add an additional access points. If you want to have reliable wifi, I suggest that you never do any of these things. In short, high powered access points don’t really exist. Their power output is regulated by the FCC. They may be more sensitive to incoming signal, but unless your device is also more sensitive then you will not experience better wifi performance. Range extenders and multiple standalone access points present are also not the solution. Each one of these devices broadcast it’s own unique “SSID” or the “network name.” When using a range extender or two standalone access points, you will commonly see the main network name, “Home Network,” and then an appended secondary network name produced by the second device which might be something like “Home Network_EXT.” In this situation, to utilize the extension device you must actively connect to the new extender or access point manually. Wireless devices will perform poorly if not manually switched, and the switching action may be required quite frequently. Let’s take for example a two story house and say that there is a wifi access point in the basement and one in the master bedroom on the top floor. The user starts by connecting a device to the wireless access point in the basement and then begins walking upstairs to the first floor. The device will likely experience wifi signal that is adequate. The user continues walking upstairs and notices the device beginning to lose signal. The user continues to walk into the master bedroom within sight of the new access point, but still has 2-3 bars on the device. 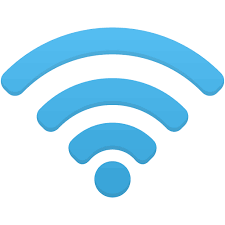 He continues on and walks past the access point in the master bedroom when the device finally decides to connect to the closer access point and the user now sees full wifi signal on the device. A sticky client will sometimes stay connected to the weaker of the two signals because it’s not constantly checking for a better signal to connect to. It knows that it’s connected to a working signal, and it will attempt to stay connected to that signal until it becomes completely unusable at which point it will seek out something better. Sometimes a wireless client will be a “sticky client” and other times it will migrate to the closer access point without hesitation. However, all devices on the network suffer while a client is sticky. While the device is in poor communication with the access point it forces slower speeds for the entire network so that the slowest device can continue to communicate. The lowering of these speeds is caused both by resource limitations and software fail safes to keep devices connected. Even though all clients may not be sticky, all devices suffer equally from a sticky client. So then, what is the solution? Client devices cannot be depended upon to make the correct decision concerning which access point to connect to. The access points themselves must make the decision. The solution is to use a wireless system that aggregates it’s access points as a single unit instead of as standalone repeaters. These systems will use an external wireless controller or software built into the access points to create a network of communication discussing each client and it’s signal strength. As a unit, the system measures the client device’s signal against each access points and makes the best decision about which access point to connect it to. This ensures that the wireless device is always connected to the access point to which is has the best signal. For systems that have 2-3 access points, an entry level version of this technology may be used. In this application I prefer to use Luxul’s XWC-1000 wireless controller with the corresponding access points. Some other systems include those by Ubiquiti and Ruckus. Homes Requiring 3+ Access PointsThe manufacturer’s of the controller based systems described above will claim to function just as well with up to 8 or 16 access points within the same system. However, in any installation requiring four or more access points I’ve never seen any “set it and forget it” success with anything but an enterprise grade system. In fact, I usually set the entry level to get into these systems at 3+ access points. The enterprise grade solutions employ the standard of seamless roaming which is IEEE 802.11r. This is a standard that sets the communication protocol for wireless devices to interact with the wifi system in order to hand off devices without losing even a second of communication. The wifi system communicates to determine the most appropriate access point for the client device to connect to, and when it’s time to migrate access points the system negotiates the hand off with the device itself so that everything is in place before transfer occurs. The transfer then occurs without even a momentary loss of device communication. Only enterprise grade devices support 802.11r. Enterprise grade solutions will also balance access point loads in applications with high client density. If one access point is overloaded, it will transfer some devices to an access point that could potentially be slightly further away but will offer less stress and more speed to the entire system. I prefer the Aruba Instant line of products to perform these installations. Once the proper number and placement of the access points is determined it is trouble free operation with the highest link speeds possible. 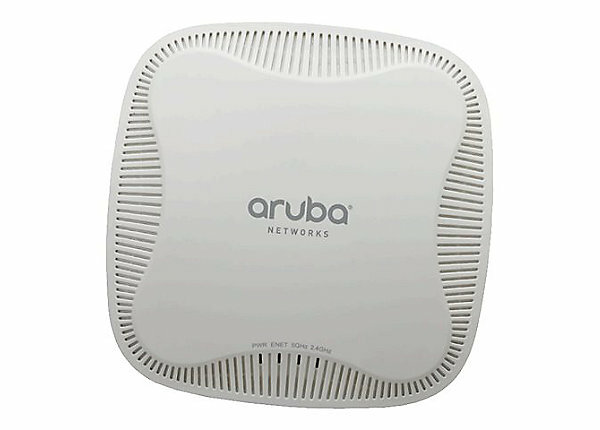 Cisco’s enterprise grade solution is great as well, but I feel that Aruba brought the right amount of simplicity to the installation. How do I install these systems?If you are working on an application that falls into the “Homes Requiring a Single Access Point” category then it can be a DIY project that will likely take an hour. However, in any of the more complex scenarios there is cabling required because individual access points must be hardwired. There are also considerations such as power and security that need to be thought out. These products only work well when they are connected and programmed correctly, but that’s what we do at myeasytek.com. We design systems, provide the equipment, and even give installation instructions to your local tradesmen so that they can make all the connections. When it’s all connected, we will program it for you. Want some free consultation about your particular application? Send me an email at jbabin@myeasytek.com. I’m happy to provide a moderate amount of advice!